Well guys, we are finally down to my final spring home tour of the season! 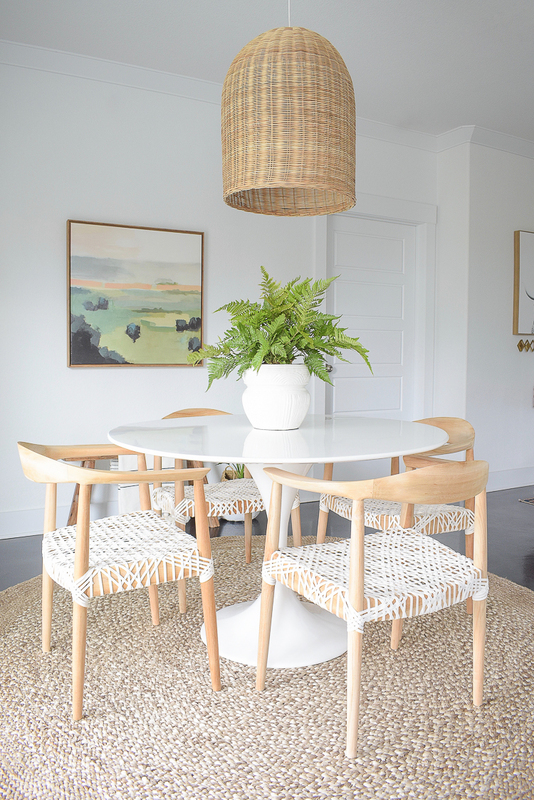 I have other spring tips posts coming soon but today I’m excited to share with you my spring dining room & entry! If you are coming over from April of House by Hoff, welcome. I always love seeing her home tours and todays didn’t disappoint as usual. And, a huge thank you to Marty of A Stroll Thru Life for having me on this fun tour…it’s always one of my favorites! 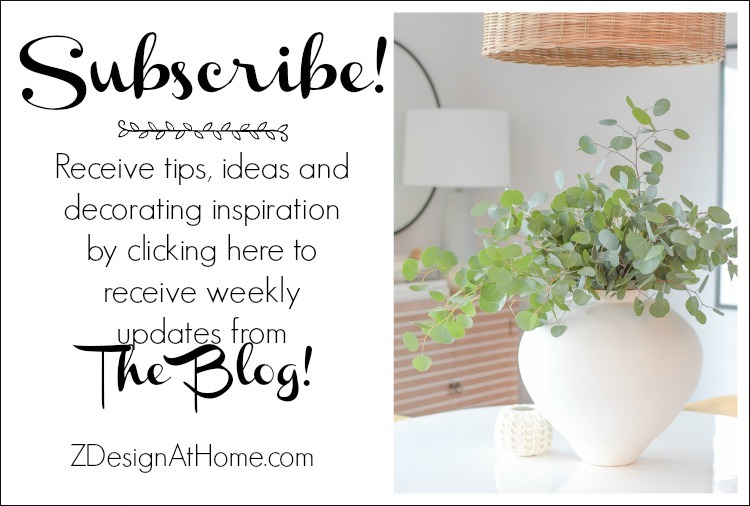 If you are new here, welcome and if you would like to subscribe to the blog to receive weekly updates, please feel free to do so here! 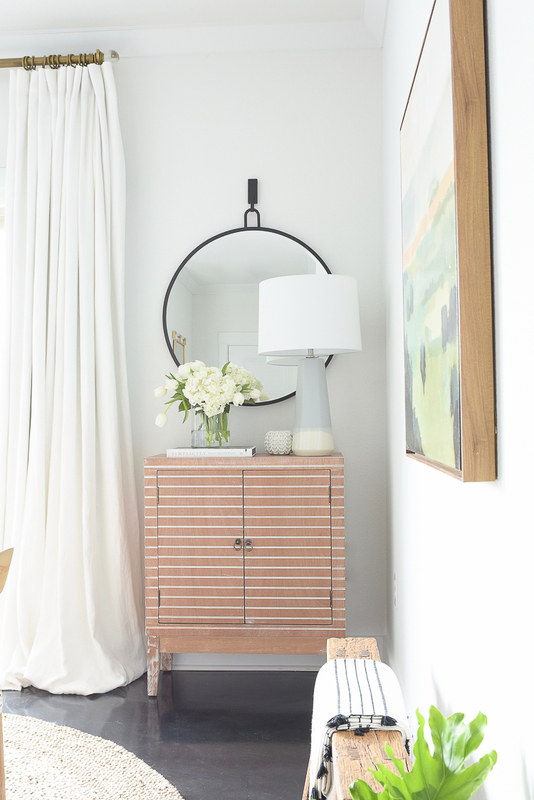 Additionally, if you missed my other spring home tours, you can do that here (spring bedroom) & here (spring living room). *This post contains affiliate links. Please read my full disclosure policy here. For my table centerpiece I used a favorite new pot with a fern in it for a big pop of greenery. I couldn’t love this pot more and love how it fits into all areas of my home. Also love the bold statement it makes. Here’s a (mostly) full look. 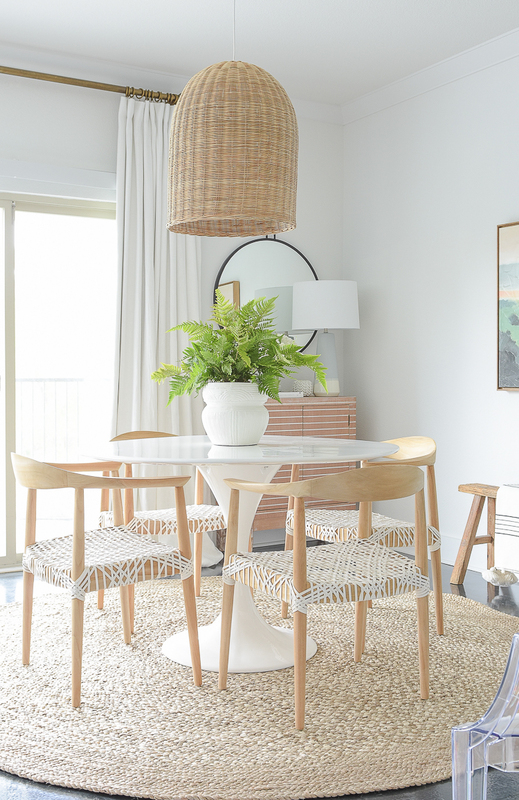 The chairs, table, rug, etc., stayed the same but the accessories and art are new to the space. This abstract piece of art stole my heart the moment I saw it. It was super affordable and I love the pops of color it provides this time of year. I love updating my art for the different seasons too so this piece is perfect here! Also used my very favorite throw over the Chinese Wooden Bench. 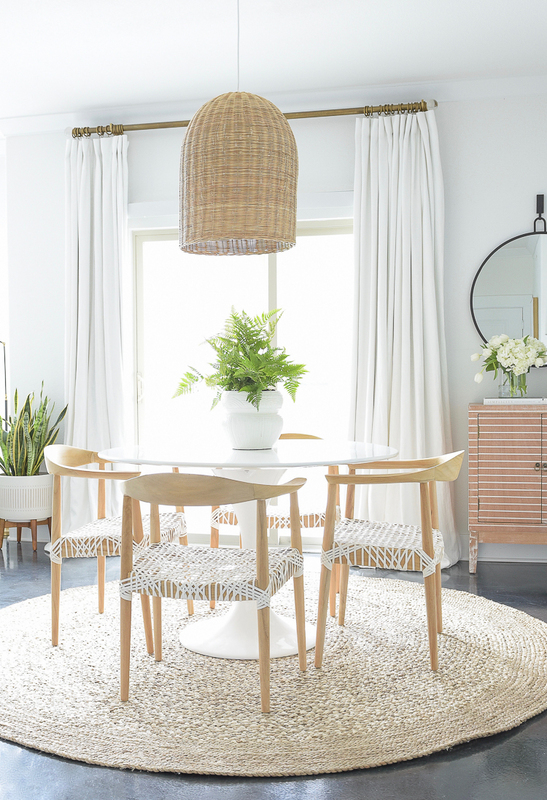 Love the affect the large tassels add to the space! 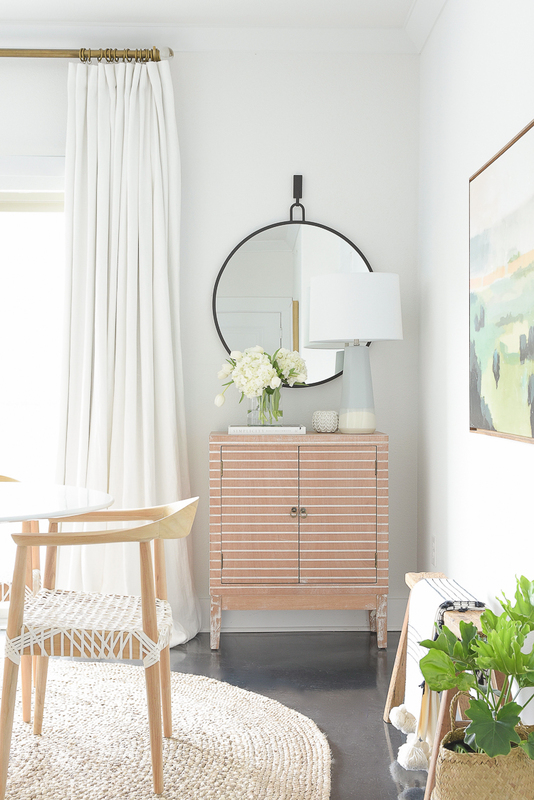 I love how the art works so well with my lamp and other accessories in this corner of the dining room. They are the perfect compliment to one another. Next up is my spring entry way. 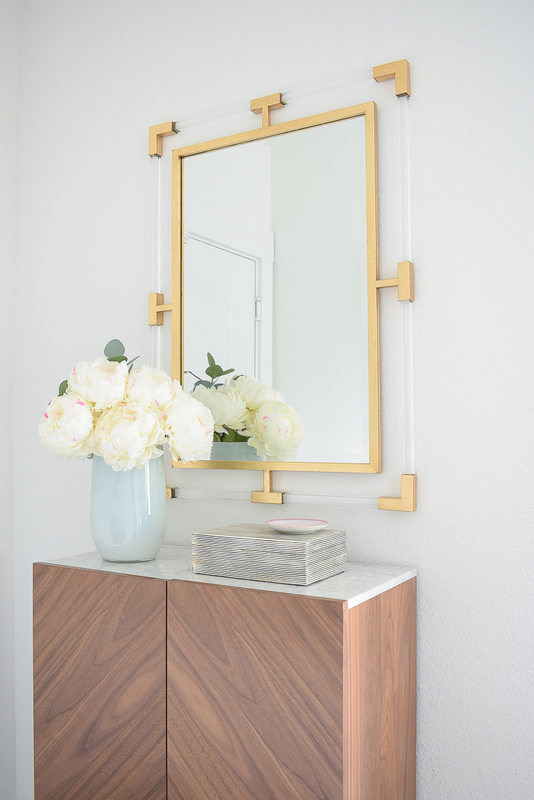 If you haven’t seen the full reveal of this space with all of the organizational details, etc., you can find that here. 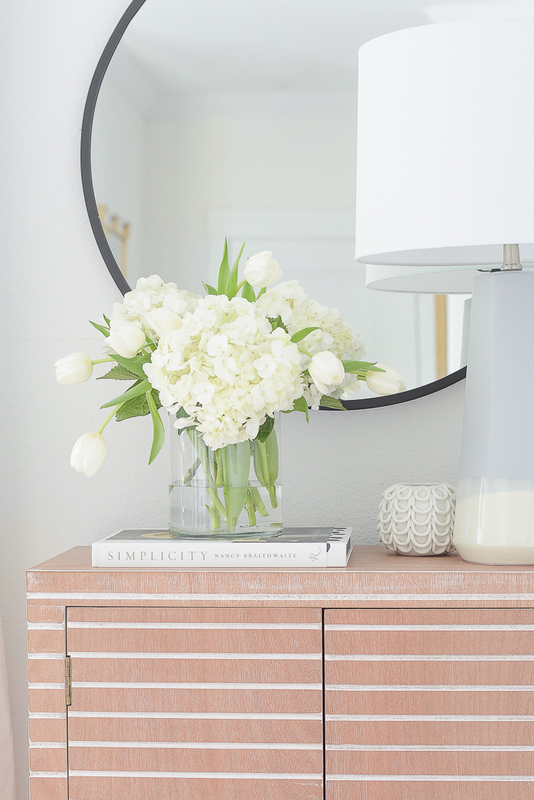 Over here I wanted to use some faux peony stems to brighten the mood, in one of my favorite white vessels, when you walk in the door. 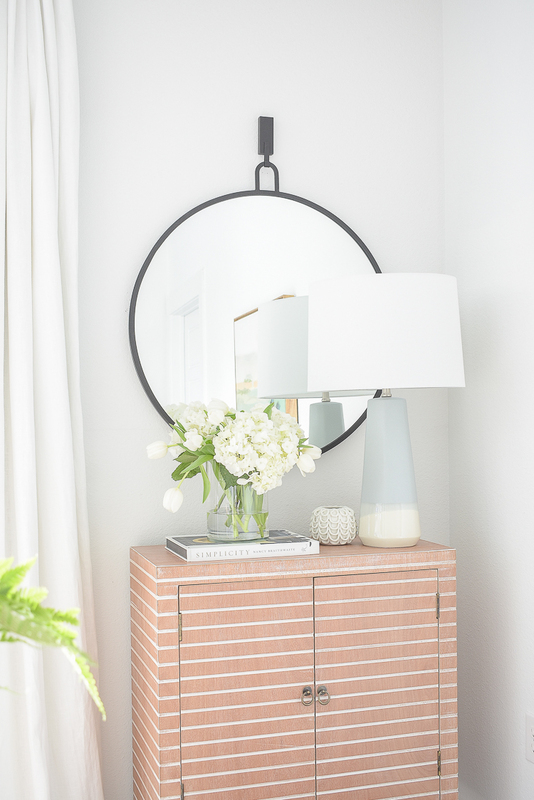 And I repurposed some other accessories from around the house such as a favorite decorative box and pink trinket dish to complete the look over here. I still love this cabinet so much. It’s great for a tight space and the marble top is wonderful, since I currently can’t have marble or quartz in our rental! 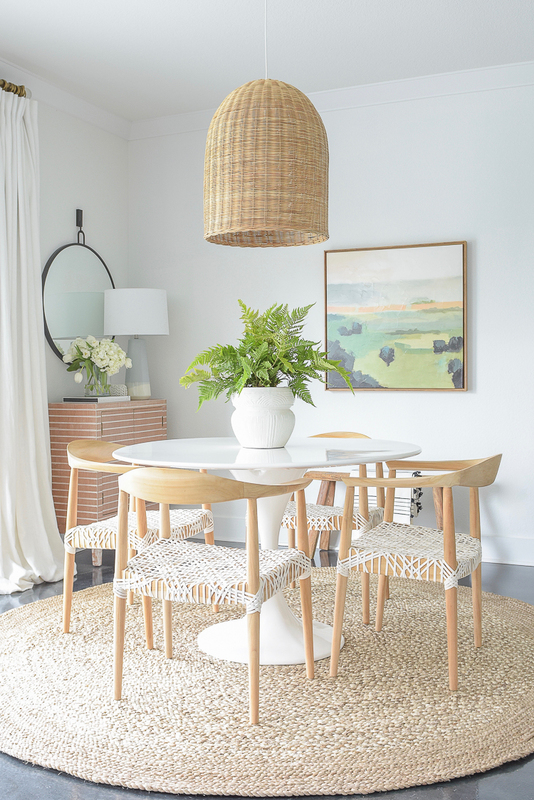 I hope you’ve enjoyed my spring dining room & entry today! Please visit my friend, Laura of Duke Manor Farm next. You will love Laura and if you don’t know her yet I know you will love her, and her beautiful spring home even more!! After you’ve visited with her, please also stop by to see my other friends on the tour today, all listed below! And please visit my other friends on the rest of this week long tour…there is something for everyone every single day of this week! Your home is always such a feast for the eyes. So crisp, clean and beautiful. 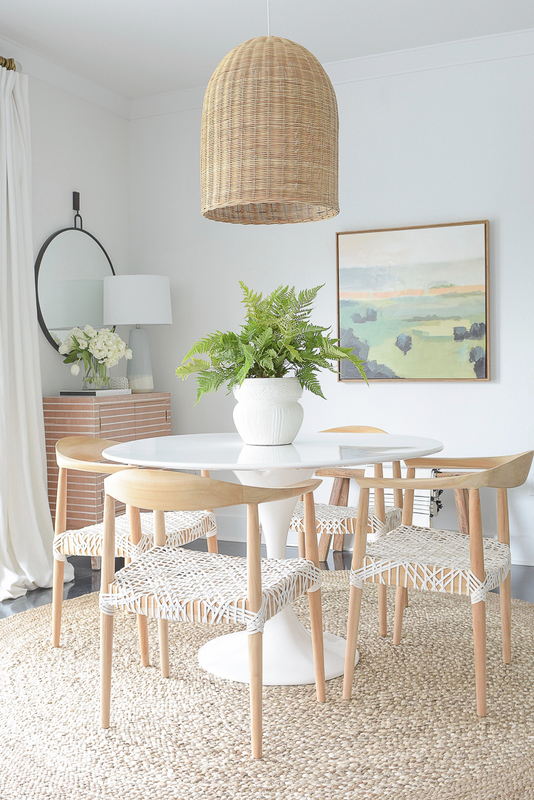 Love the new chairs you added to your dining area, so unique and so pretty. 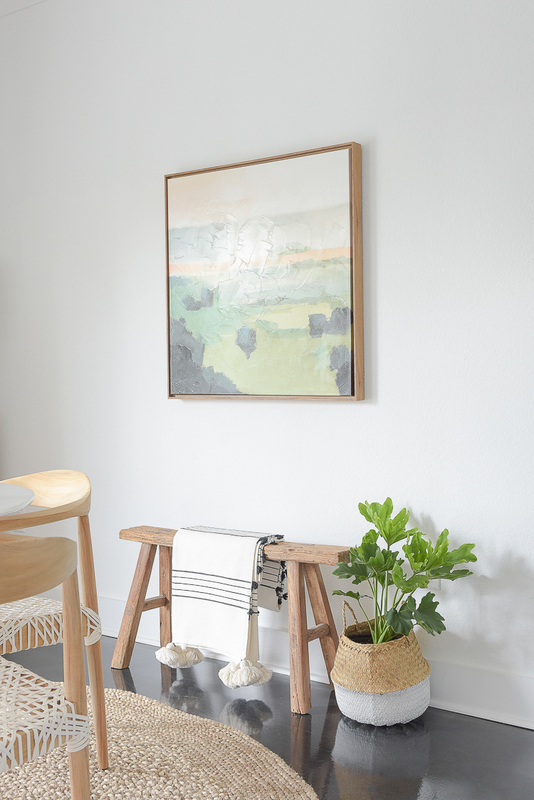 The art and pretty flowers definitely add the perfect touch of Spring. 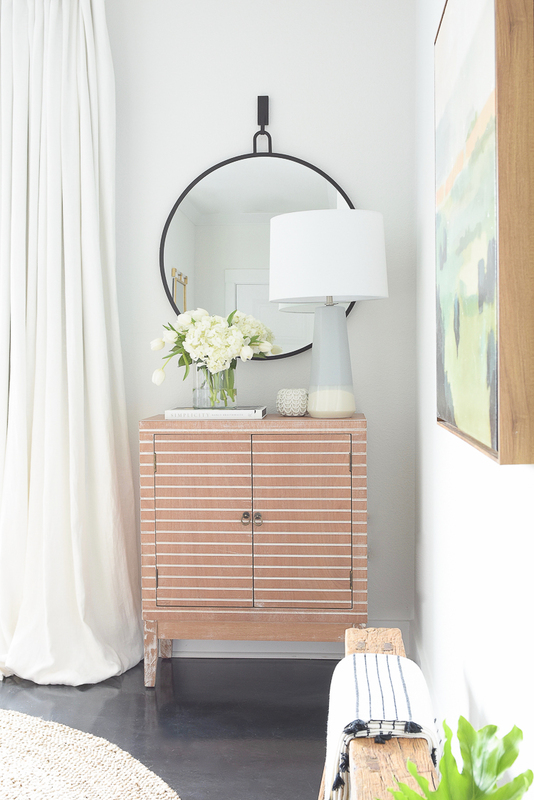 I also love that stunning cabinet and mirror in your entry, such a pretty and inviting spot to your home. 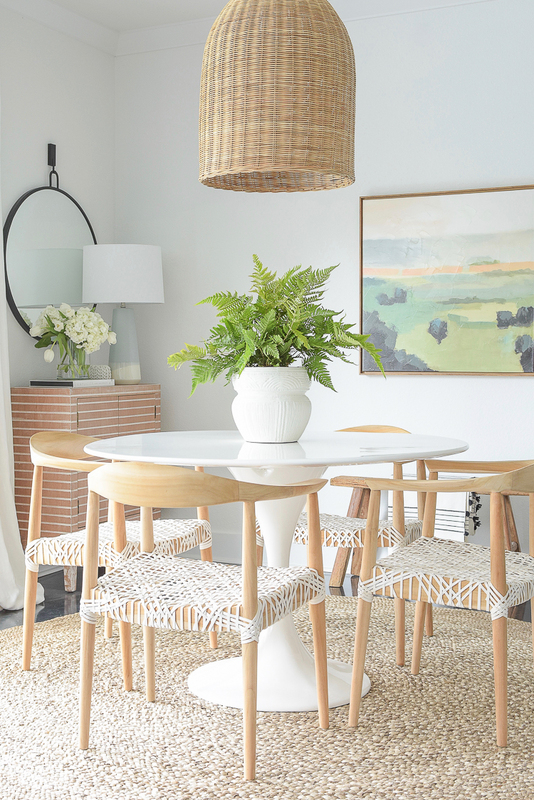 Thanks so much for joining the 2019 Spring Home Tour, your home is always full of inspiration. Bree your springtime touches are so lovely. 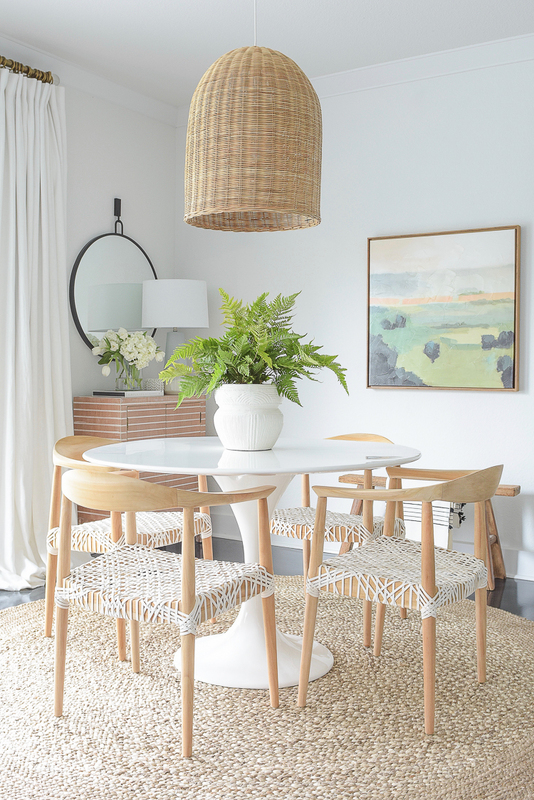 I adore your dining chairs! So happy to be sharing this tour with you. Bree, your home is always such a source of inspiration and beauty. enjoy the spring season! Laura, you too and thank for stopping by! Happy spring!! Perfectly simple and stunning as always, Bree. I had a hard time choosing what to pin! Happy spring! 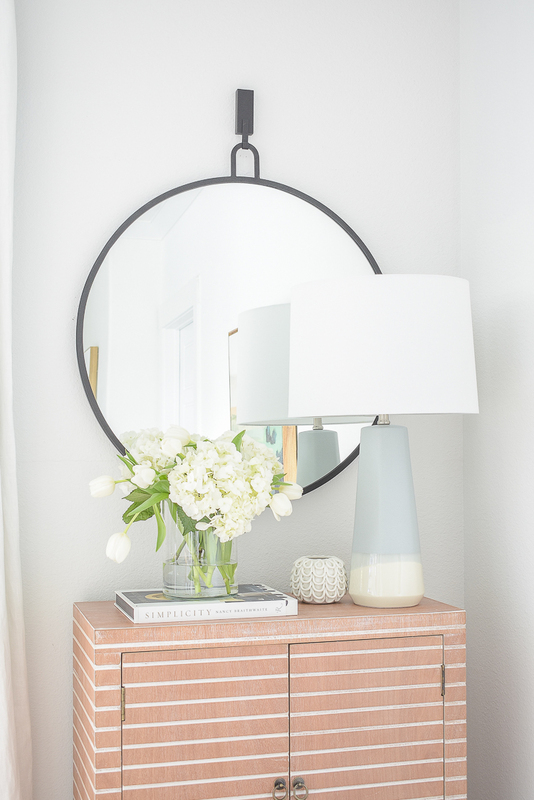 You’re rocking that neutral, crisp vibe in your home! Such a gorgeous space. 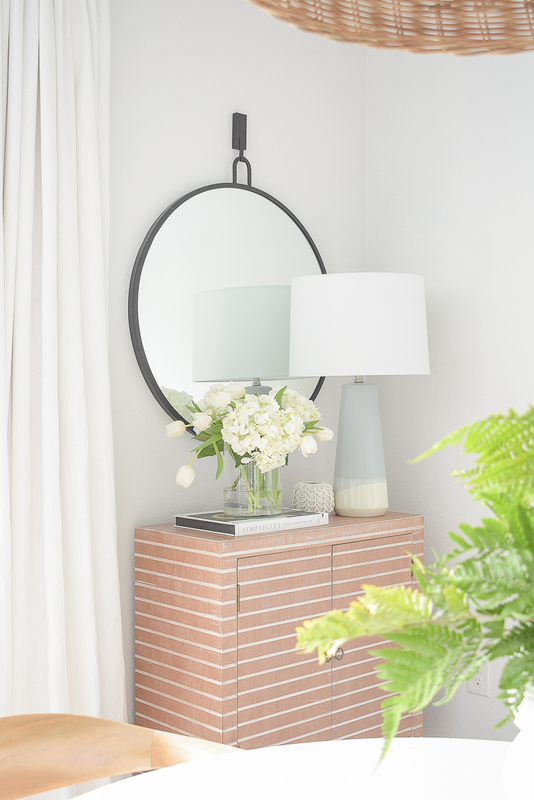 I love your light and airy decor for spring! 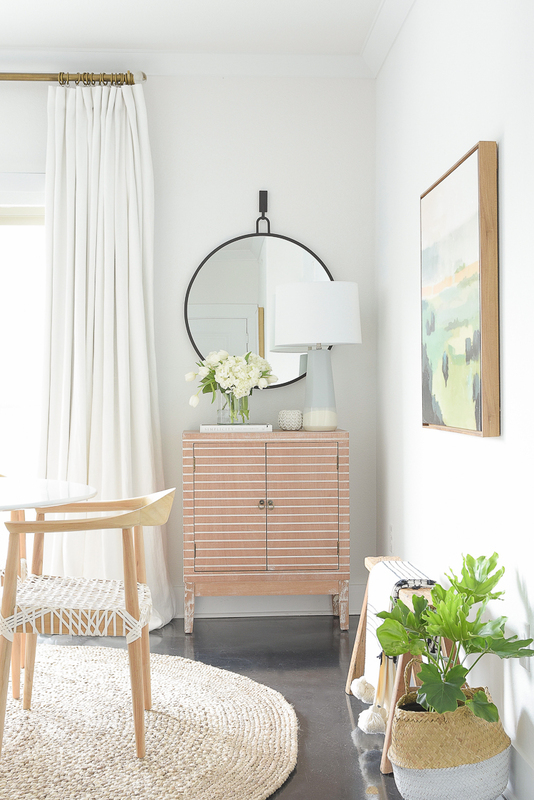 The mirrors are perfect for bouncing around all the beautiful spring sunlight. 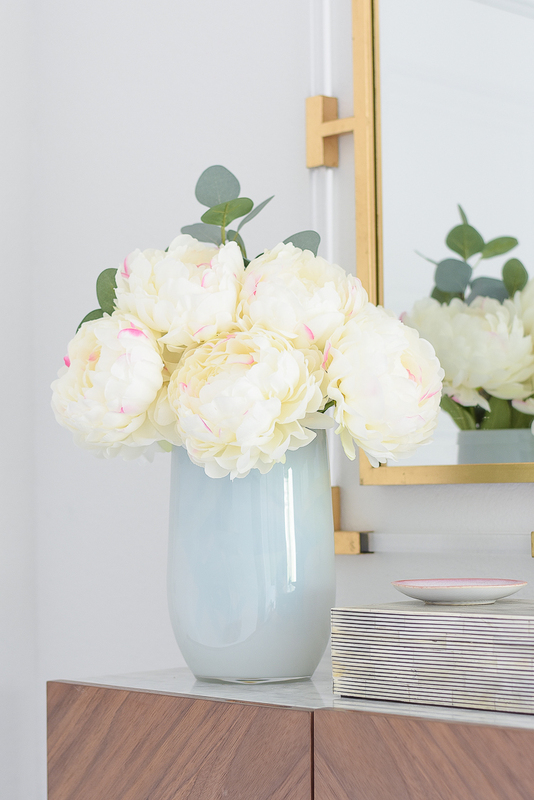 The peonies and eucalyptus look so pretty on the marble topped cabinet too! 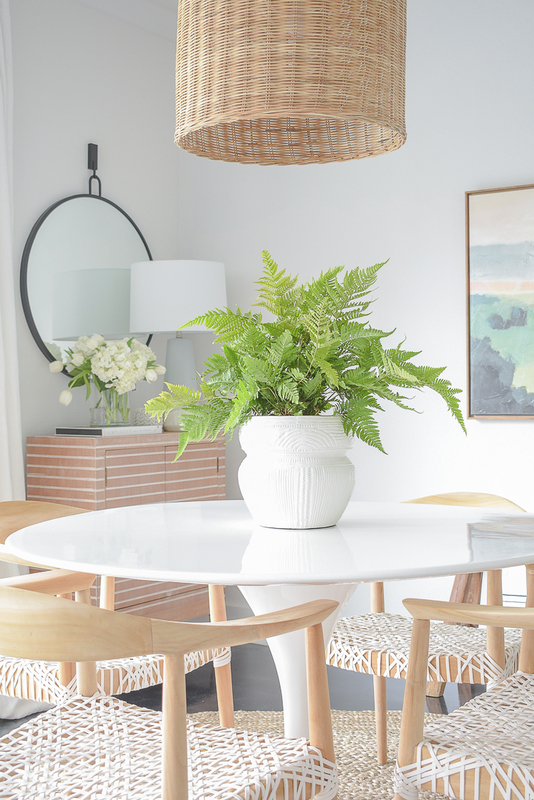 The simple fern centerpiece on the table also looks perfect. 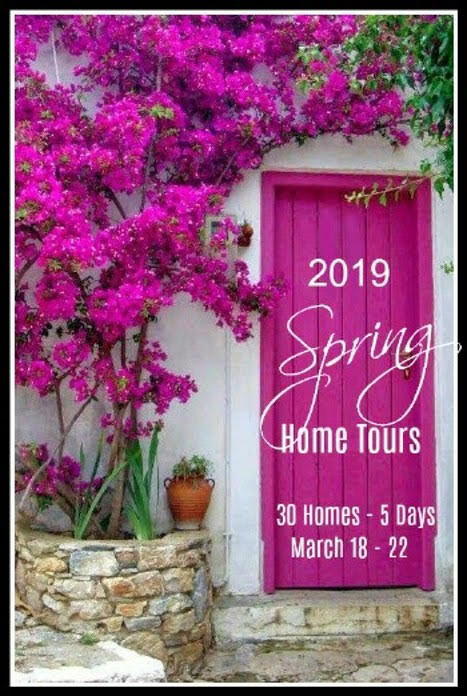 So glad to join you for the Spring Home Tours. Happy Spring! Your flower arrangements and ferns have me so inspired!! Such gorgeous spaces! I love your style! Kristen, thank you so much!!! And thanks for stopping by the blog. Happy spring!